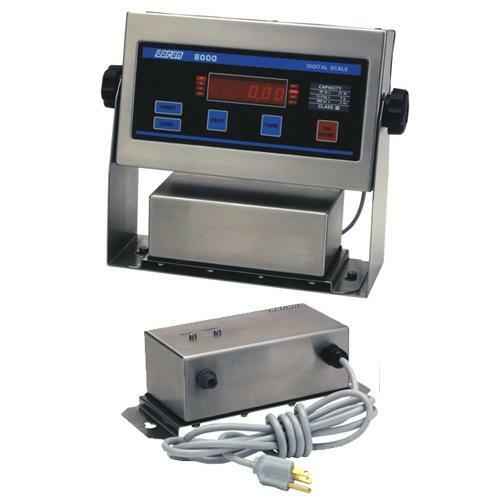 Approved for All Classes, Divisions, and Groups The Doran 8000IS Digital Weight Indicator can be mated to compatible FM load cells to form a complete intrinsically safe scale system. This includes any Doran scale base, as well as most FM approved load cells. Battery or AC Powered Models are Available The rechargeable battery pack provides 100 hours of use under continuous operation - much longer when used in the sleep mode. The battery pack is external and easy to remove to the safe area for recharging.